THE ARRESTS IN THE STANFORD CASE HAVE BEGUN! Posted in Uncategorized | Comments Off on THE ARRESTS IN THE STANFORD CASE HAVE BEGUN! WHO DO YOU THINK WILL WEAR THE HANDCUFFS NEXT? Laura Pendergest-Holt, the chief investment officer of Stanford Group, was arrested on charges of obstruction by FBI agents in Houston on Thursday, the U.S. Justice Department said. She made an initial appearance in U.S. federal court, it said. U.S. securities regulators have charged the firm’s chairman, Allen Stanford, with an $8 billion fraud. PEOPLE WANT MORE THAN JUST FUN OUT OF THE RODEO, THEY WANT JOBS! Posted in Uncategorized | Comments Off on PEOPLE WANT MORE THAN JUST FUN OUT OF THE RODEO, THEY WANT JOBS! BRADFORD MAKES HIS NEXT POLITICAL MOVE! Posted in Uncategorized | Comments Off on BRADFORD MAKES HIS NEXT POLITICAL MOVE! HE’S RUNNING FOR RONALD GREEN’S OLD SEAT! Less than four months after losing a close race for Harris County district attorney, former Houston Police Chief C.O. Bradford is running for an at-large seat on the City Council. Bradford is aiming for the at-large Position 4 seat being vacated by Ronald Green, who is running for controller. Other candidates for the council job include Noel Freeman, an administrator for the city engineer. The election is Nov. 3, and candidates have until late September to sign up. Bradford, a lawyer and security consultant, indicated in a written statement Wednesday that he is launching his second candidacy within two years because he wants to serve the public again. With about 1 million votes cast in the race for district attorney in November, Bradford, the Democratic nominee, lost by about 5,000 votes to Republican Pat Lykos. 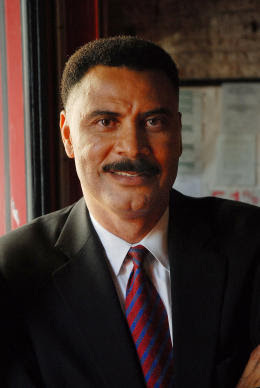 Bradford served as police chief from 1997 to 2003, when he retired amid a series of controversies, including errors and faked results by police crime lab personnel. THE PLAN TO KEEP IMMIGRANT FAMILIES FROM LIVING IN FEAR! 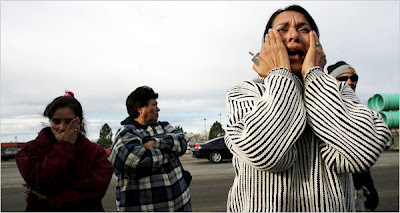 Posted in Uncategorized | Comments Off on THE PLAN TO KEEP IMMIGRANT FAMILIES FROM LIVING IN FEAR! DO YOU SUPPORT THIS EFFORT ACROSS THE COUNTRY? Faith leaders from across the country will come together this Thursday, just days after 160 prayer vigils took place nationwide, to call for immigration renewal and action and announce plans for faith community Congressional visits. The press call and events are part of a national movement to mobilize people of faith and call on President Obama and Members of Congress to enact humane immigration reform. Leaders will urge the Administration to bring humanity and compassion back into the public dialogue. Immigrant families and workers are living in a state of fear, constantly worrying about the next raid that would rip parents and children apart, or how the increasing anti-immigrant sentiment will impact their families. Now is the time to restore dignity and respect to all families and communities. More than 160 prayer vigils took place across the country as part of a growing national movement of faith acting on the pressing moral issue of immigration in America. People of faith are calling on President Obama and Members of Congress to show the moral courage needed to lead on immigration. 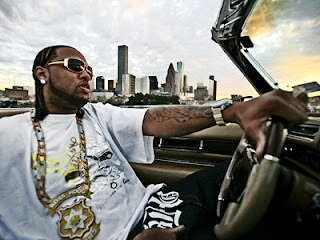 AT LEAST SLIM THUG DIDN’T STEAL MY RETIREMENT AND WALK OFF WITH MY WHOLE FINANCIAL FUTURE! Posted in Uncategorized | Comments Off on AT LEAST SLIM THUG DIDN’T STEAL MY RETIREMENT AND WALK OFF WITH MY WHOLE FINANCIAL FUTURE! SLIM THUG VERSUS THE WELL RESPECTED IN OUR COMMUNITY! I recently read a comment on the Insite left by a self righteous reader. That reader basically chastised anyone who happens to associate with a rapper. Specifically, the anonymous reader was referring to Houston rapper Slim Thug. He or she essentially said they wouldn’t want to be associated with him. I thought about the comment as I approved it. Then I realized this reader is probably a person who would rather be associated with someone who is well educated, rich, respected in the community, and on every ‘A’ list in town. Then I thought about all the people who would’ve made it on that list at some point. The list is pretty exclusive and long: Ken Lay, Bernie Maddoff, Sir Allen Stanford, Jeffrey Skilling, Paul Greenwood, Stephen Walsh, Andrew Fastow and the list goes on. At one point all these were very well respected people in various communities. Men millions of people in some form of fashion looked up to and adored. These are also the men who have been found guilty or are currently accused of making a plum fool out of those who trusted them. Then I realized I’d probably prefer being friends with Slim Thug who may have used the ‘F’ and ‘N’ word in a song but he didn’t steal my retirement and walked way with my entire financial future. Just a thought from The Insite! HUNDREDS OF MILLIONS OF DOLLARS STOLEN FROM INVESTORS AGAIN! 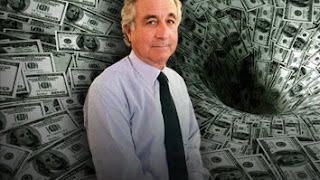 Posted in Uncategorized | Comments Off on HUNDREDS OF MILLIONS OF DOLLARS STOLEN FROM INVESTORS AGAIN! THE PEOPLE YOU TRUST WITH YOUR MONEY! Lev L. Dassin, the Acting United States Attorney for the Southern District of New York, and Joseph M. Demarest, Jr., the Assistant Director-in-Charge of the FBI’s New York Field Division, announced today that Paul Greenwood, 61, of North Salem, N.Y., and Stephen Walsh, 64, of Sands Point, N.Y., were arrested this morning on conspiracy, securities fraud and wire fraud charges. DON’T MISS THE HABJ BIG GALA AGAIN THIS YEAR, YOU’RE ALL INVITED! Posted in Uncategorized | Comments Off on DON’T MISS THE HABJ BIG GALA AGAIN THIS YEAR, YOU’RE ALL INVITED! AN OPEN LETTER FROM THE PRESIDENT OF THE HOUSTON ASSOCIATION OF BLACK JOURNALISTS! World Heavyweight Champion George Foreman, CBS Correspondent Byron Pitts, KTRK ABC 13 Anchor Melanie Lawson and best-selling author Reshonda Tate Billingsley will help create a magical evening hosted by the Houston Association of Black Journalists. On Friday, April 3, 2009, HABJ will hold the 23rd Anniversary Awards Dinner to celebrate some of the best and brightest in the media industry, while raising money to help aspiring journalists pursue a college education. Dinner chairs Melinda Spaulding of KRIV FOX 26, Kim Davis of KPRC Local 2 and Gene Norman of KHOU-TV, Channel 11, are busy planning every exciting detail. Working together – we can make this year’s dinner a huge success! Thanks in advance for your help and hard work. INSITE COOK OF THE WEEK: MIYA SHAY! Posted in Uncategorized | Comments Off on INSITE COOK OF THE WEEK: MIYA SHAY! SHE’S DOING MORE THAN JUST KICKING DOWN DOORS FOR THE SCOOP! I was pleasantly surprised when I tasted some food cooked by ace street reporter Miya Shay of KTRK-TV. She baked up these cool and elaborate finger foods for a birthday party last weekend. When I ran into her she asked me to try some. Now, when I think of Miya, I think of a very busy professional woman who doesn’t have much time for the kitchen. I imagine her kicking down doors to get the scoop then heading to some fancy restaurant to eat for dinner after work. So, when I accepted her offer to sample her food I didn’t expect much. But after eating some of the fancy edibles I was surprised and all of them were great. DELICIOUS! I even went back for more. 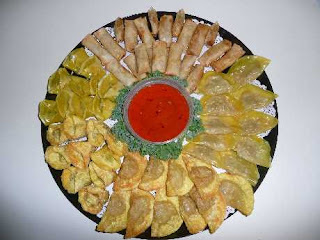 The only problem, I just can’t seem to remember the name of the hors d’oeuvres. Way to go Miya and with your skills you become the Insite Cook of The Week! RACISM AT THE HOUSTON LIVESTOCK SHOW AND RODEO? Posted in Uncategorized | Comments Off on RACISM AT THE HOUSTON LIVESTOCK SHOW AND RODEO? SHOULD THERE BE MORE DIVERSITY AT THE RODEO OR IS TRADITION JUST TRADITION? The Hispanic and African American communities are protesting the lack of diversity within the Houston Livestock Show & Rodeo. A press conference is scheduled for Friday, February 27, at 10:30 a.m. at the Harris County Administration Building located at 1001 Preston. Everyone is welcome to support the cause. A protest at Reliant Stadium is scheduled for Friday, March 13, at 5:00 pm. The performer for that evening will be Clint Black. The Houston Livestock Show & Rodeo was established in 1931 and has used government facilities since 1938. Millions of tax dollars have been used to create venues and provide year-round office space for the rodeo. For this reason, leaders from both communities feel the rodeo should be inclusive of all communities. There are 320 board members at the Houston Livestock Show & Rodeo, of which 233 are voting board members and only 7 are minorities. The process of becoming a board member is dependent on being a big donor, serving on the Houston Livestock Show & Rodeo Committee for decades, or being recommended by the executive board members. There are many minorities that have volunteered for the rodeo for decades, yet they have never been recommended to serve as board members. There are 42 executives on the Houston Livestock Show & Rodeo board, which includes 17 vice-presidents. Of the 42, there is only one minority. By the way, the rodeo will consistently show him in the press to show they are diverse. Why don’t they show the other 41 executives on television? There are 90+ full-time employees at the Houston Livestock Show & Rodeo. There are only 7 minorities, which are groundskeepers and other low level employees. The rodeo executives have consistently hid the salaries of employees for their own benefit. They do not wish to show anyone their hefty 6-figure salaries. The rodeo is a non-profit organization using government property. There should be no reason to hide these facts. The Houston Livestock Show & Rodeo will bring in approximately $120 million in 2009 and yet it only has committed to award $11 million in scholarships, which amounts to 9% of the total funds collected. An organization that claims to be all about scholarships is really a money-making machine for those in leadership positions. The Houston Livestock Show & Rodeo has 20 concerts per year. One day is dedicated to Hispanics and one day is dedicated to African-Americans. Are we to celebrate this? This year approximately $50 million will be awarded in contracts by the Houston Livestock Show & Rodeo. Has anyone seen a Request for Proposals distributed to the community? I didn’t think so. There is no process in place to ensure minority contractors and vendors have a fair opportunity to bid on any of the contracts associated with the rodeo. It is the good ole boy network at its best. The average attendance for the concerts at the Houston Livestock Show & Rodeo is 55,000 a concert. Go Tejano Day (now called Hispanic Heritage Day) averages almost 70,000. Go Tejano Day has consistently broken attendance records throughout the years and yet the artist performing on that day have consistently been paid much less than their counterparts. The average pay for a performer for each performance is between $750,000 and $1,000,000. Little Joe, a Tejano music legend, was paid $40,000 for a concert. The Houston Livestock Show & Rodeo has consistently avoided being transparent to the citizens of Harris County. Basic information has been requested year after year and every time we are given excuses. What is there to hide? The selection of entertainers is done by Houston Livestock Show & Rodeo executives with no input from the Go Tejano Committee or the Black Heritage Committee. I guess this executive committee knows it all. NO ONE CHARGED IN THE DEATH OF CLARENCE FREEMAN: THE INTERNAL AFFAIRS VIDEO YOU’LL SEE ONLY ON FOX AND THE INSITE! Posted in Uncategorized | Comments Off on NO ONE CHARGED IN THE DEATH OF CLARENCE FREEMAN: THE INTERNAL AFFAIRS VIDEO YOU’LL SEE ONLY ON FOX AND THE INSITE! THEY’VE INDICTED A TEXAS MAN FOR SENDING THAT WHITE POWDER IN THE MAIL! Posted in Uncategorized | Comments Off on THEY’VE INDICTED A TEXAS MAN FOR SENDING THAT WHITE POWDER IN THE MAIL! MICHAEL JUREK HAS BEEN INDICTED! 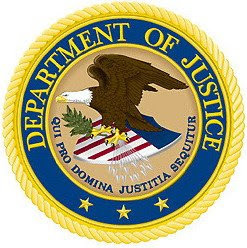 A federal grand jury in Amarillo returned an indictment today charging Richard Goyette, a/k/a Michael Jurek, 47, with one count of threats and false information and 64 counts of threats and hoaxes, announced acting U.S. Attorney James T. Jacks of the Northern District of Texas. 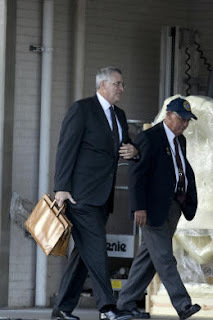 Goyette has been in federal custody since his arrest on February 2, 2009, on a charge outlined in a federal criminal complaint related to his mailing 65 threatening letters to financial institutions from Amarillo in October 2008. 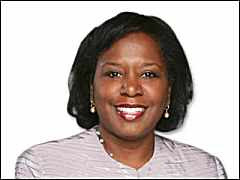 The indictment further alleges that Goyette mailed 64 letters to 52 various locations of Chase Bank; Federal Deposit Insurance Corporation (FDIC) offices in Arlington, Virginia; Washington, D.C.; and Dallas, Texas; and Office of Thrift Supervision (OTS) offices in Chicago, Illinois; Daly City, California; Jersey City, New Jersey; Washington, D.C.; and Irving, Texas. Each of these letters contained an unknown white powder and the threat that the person breathing the powder would die within 10 days. SHOULD THE FEDERAL JUDGE BE IMPEACHED? Posted in Uncategorized | Comments Off on SHOULD THE FEDERAL JUDGE BE IMPEACHED? A ranking congressional judiciary committee Republican said Tuesday he will call for the impeachment of U.S. District Judge Samuel Kent, who pleaded guilty to obstruction of justice this week. U.S. Rep. James Sensenbrenner, R-Wis., said Tuesday that once Kent has been sentenced he will introduce a resolution to impeach the 59-year-old jurist who is seeking to retire with full pay. Kent is scheduled to be sentenced in May. Prosecutors have asked he serve three years in prison. “Felons don’t belong on the bench or in Congress,” said Sensenbrenner, a former chairman of the House judiciary committee. The congressman called it outrageous that Kent is asking to retire under a disability exception so he can keep collecting a federal paycheck for the rest of his life. Federal district judges are appointed for life. When they retire at 65 — or earlier, if disabled — they continue to receive the same pay as their retirement benefits. Judges lose these privileges only if they resign or are impeached. Sensenbrenner said another federal judge, Walter Nixon of Mississippi, was sent to prison for tax evasion. Nixon, who refused to resign, was disbarred and still tried to retake the bench before being impeached. He worries that Kent could retire on disability, then claim he was cured after a prison term and try to retake the bench, too.